City governments are shaping up as key actors accelerating worker co-op development. It started in 2009 when the City of Cleveland accessed a federal guaranteed loan to help finance the Evergreen Cooperatives. Since then, nine more city governments have moved to promote worker cooperatives through municipal projects, initiatives, or policies because they want to reach people and communities often left out of mainstream economic development. Other city governments including Philadelphia are considering it now. Getting worker cooperatives to the scale of being a real market alternative will take time, energy, and the sort of experimentation we are seeing from these ten cities. A recent Imagined Economy Project report, Cities Developing Worker Co-ops: Efforts in Ten Cities, explores how city governments are thinking about their strengths in making worker co-ops structural features of local markets. Traditional economic development, said Madison, Wisconsin’s Ruth Rohlich in the report, “isn’t helpful in creating really healthy communities, financially strong communities, in an equitable way.” Worker ownership may be a way forward, and city experiences right now will help municipalities decide how worker co-ops may become long-term features of their economic development agendas. To commit to worker cooperative development long term, the cities will need to see modest growth in jobs and business ventures resulting from their current efforts and may benefit from input and insights from worker cooperatives as they continue to adjust their sense of best practices. The City of Cleveland ventured into worker co-op development in response to a Cleveland Foundation initiative to set up a network of worker cooperatives connected under a corporate umbrella that planned to supply needed goods or services to hospitals, universities, or other anchor institutions. “I heard about it just in passing,” said Cleveland’s Economic Development Director Tracey Nichols quoted in the report, and the word of mouth led to the first instance of a city getting involved in worker cooperatives in a big way. The main way the City of Cleveland assisted the initiative was by accessing millions of dollars in federal guaranteed loans and some federal grant funds as startup capital for the Evergreen Cooperatives. In so doing, the city produced the contours of one municipal approach to worker co-op development, termed the anchor approach in the report, whereby the city government role is mainly to finance startups and resolve underwriting risks in what are considered unconventional projects. In Cleveland, Nichols used tax increment financing and set aside the non-school portion of payments in lieu of taxes as a debt reserve for loan repayment to minimize risks to the city. New York City is the nation’s second large scale municipal effort to bolster worker cooperative development locally. Instead of helping build worker cooperatives as part of anchor institution supply chains, New York is one of five cities taking an ecosystem development approach in the vein of the Democracy at Work Institute (DAWI). A worker cooperative ecosystem, according to a Democracy At Work Institute and Project Equity report, is a series of interacting elements including but not limited to cultural/entrepreneurial familiarity with worker co-ops, supportive laws, customers, capital, technical assistance, and professional service providers that help worker cooperatives emerge and survive. As part of its Worker Cooperative Business Development Initiative, New York committed to funding a collaborative of cooperatives — there were eleven funded in 2015 and fourteen in 2016 — to spread general awareness of the worker cooperative business form, incubate new or converted worker co-ops, and support existing worker co-ops with matters like drafting by-laws, accounting, Board development, and employee participation strategies. The City itself also became part of the ecosystem when it began offering a “10 Steps to Starting a Worker Cooperative” course through its Small Business Services Solution Centers. The separate approaches have produced modest results, with the three Evergreen Cooperatives for-profit startups employing 113 people (38% member-owners) over several years and New York’s initiative leading to 21 new worker cooperatives involving 141 worker- owners in its first year. While the wage and earnings statistics specific to the co-ops developed through these municipal efforts are unavailable, a Sustainable Economy Research Project report found that worker co-ops in New York pay an average of $25.00/hour but apparently offer less than full time opportunities; the average annual income earned in New York’s worker cooperatives is $18,000.00 according to that report, mostly involving women of color. Current wages and earnings in the Evergreen Cooperatives are also unknown, but 98% of those employed by the three ventures are Clevelanders, 100% are racial or ethnic minorities, and 47% are returning citizens, Evergreen Cooperatives’ CEO John McMicken offered in an email. Both municipal approaches have been inspirational to other cities. Rochester, New York and Richmond, Virginia are at various stages of planning for municipally-supported anchor-linked worker cooperative projects as part of broader poverty-reduction efforts, while Richmond, California, Madison, Wisconsin, Minneapolis, Minnesota, and Austin, Texas are working to bolster and expand worker co-op ecosystems in their cities. The ten city governments are attracted to worker cooperatives as sources of quality jobs, as well as ways to build wealth for individuals and divested communities. Accomplishing those goals will be a matter of “adaptive management,” assessed Berkeley’s Brandi Campbell, as they know they have much to learn. Ultimately, cities want sustained growth of individual co-op businesses as well as multiplier effects in the local economy to result from their investments in worker co-op development. These may be tall orders for geographically-dispersed cities with very different experiences with worker cooperative or broader social enterprise cultures, and the city governments are aware that they will need to readjust their approaches and planning as they learn how to develop worker co-ops by doing it. Part of learning by doing involves learning from each other. The city governments are motivated to apply lessons from other city experiences as well as from the broader cooperative or co-op developer community. Most of the ten cities active in worker cooperatives are connected with expert consultancies that are playing key roles in helping inform municipal efforts and also bringing insights from other local projects or initiatives with them as they help additional city governments develop their desired approaches to worker co-op development. Certainly, ideas about how municipalities can be most effective in worker co-op development are cross-pollinating, and this has resulted in some evolution of what can be called the Cleveland and New York models of worker co-op development as additional city governments work through the place-based opportunities and challenges related to emulation in their own local areas. The city role in the anchor-linked approach to worker co-op development started in Cleveland as primarily financial, but the newer cities are taking on expanded roles. In both Richmond, Virginia and Rochester, city governments have initiated anchor-linked worker co-op projects from City Hall, so their roles have evolved to include finance but also conceptualization, planning, and active participation in setting performance targets. Rochester is further along than Richmond in its planning, already having completed a feasibility study in consultation with the Democracy Collaborative or the main architect of Cleveland’s Evergreen Cooperatives. Working with the Democracy Collaborative, Rochester has been able to build upon the lessons from the Cleveland experience. Certain alterations have been built into Rochester’s anchor approach that, ultimately, may help minimize financial risk and potentially allow for quicker growth of the supportive infrastructure built through the corporate umbrella. First, the City of Rochester is acting to influence the business mix. Said Henry Fitts, Director of Innovation for the City of Rochester, “A lesson learned from the Evergreen experience has been that high-capital startup businesses are a lot more difficult to accomplish through this model.” Rochester is interested in focusing more of its business starts on lower-capital, service-based businesses. For instance, only one of Rochester’s five potential worker cooperatives is a multi-million dollar venture, compared to all three of the Evergreen Cooperatives startups, according to a 2016 planning document released by the Democracy Collaborative. Additionally, the worker co-ops proposed in Rochester are planned to satisfy unmet consumer or anchor institution demands, instead of entering markets already served by existing vendors. Fitts believes this will minimize risk, as well as prevent duplication and competition within the local supply chain. Second, the anchor approach in Rochester is conceived to build alliances with independently-forming worker cooperatives or conversions as a way of accelerating growth in the cooperative sector. Rochester’s planned nonprofit umbrella corporation — the equivalent of the Evergreen Cooperatives Corporation — plans to offer business services and back office support to other cooperatives. Potentially, this will facilitate profit pooling across a wider universe of co-ops that can be used to finance additional worker co-op starts. Speedy growth in the number and size of anchor-linked worker cooperatives is the best way to benefit worker co-op members, while also lighting a spark in the divested communities where they locate. The concept in Rochester builds a new avenue for growth into the approach. New York’s effort to promote worker cooperative development happened by a collaborative of nonprofit co-op developers that provide technical assistance. As more cities have emulated New York, the ecosystem approach has shaped up, as cities think about the DAWI-inspired ecosystem concept in the context of the particular resources, strengths, and challenges in their cities. In New York, the collaborative of co-op developers organized itself, but this has not been the experience in every city. How to activate a community of worker co-ops or co-op developers is a challenge to overcome in certain places, and trajectories in two cities lead to different answers. Richmond, California had a difficult experience getting worker cooperatives established through an education-focused program it funded for one year in 2011/12, finding that cooperative entrepreneurs needed more business and social supports than were available. Learning from those challenges, City Councilperson Gayle McLaughlin is helping the nonprofit Richmond Worker Cooperative Revolving Loan Fund, spun off from her time as Mayor, establish a worker cooperative incubator. The planning is funded by the California Endowment and, if established, will provide heavier business supports than the initial City of Richmond endeavor. Incubators have not figured prominently in municipal understandings of how to promote worker cooperatives, but it may be useful in areas like Richmond without much local worker cooperative experience arising organically. [W]orker cooperatives may become more permanent features of city economic or small business development planning. The path forward in Madison is different. Madison enjoys a comparatively rich cooperative history and business culture, but worker co-op development organizations did not join together to lobby for municipal funding as they did in New York. Instead, the Mayor initiated the plan to fund cooperative development through personal interest and more casual interactions with some of the city’s cooperatives. In the absence of a co-op developer collaborative like New York’s, the City of Madison is setting out to organize one itself. After approving budget allocations of $600,000 for each of the next five years, Madison has been encouraging a variety of existing local cooperatives, organizations, and lending institutions to come together to discuss how they can proceed in setting up worker co-op development capacity as well as loan funds. The city is convening the local organizations, cooperatives, and lenders to decide together how best to divide responsibilities and, said Madison’s Ruth Rohlich in an interview, the group “may have to create new organizations to manage the program as opposed to just adding it to already existing programming.” While the participants have leeway in imagining how they can best make use of Madison’s investment in worker cooperatives, the city government has used its Request for Proposal to place some parameters on the planning process. 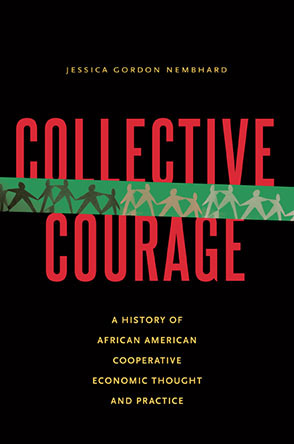 For instance, Madison expects any organizations contracted for this initiative to work with University of Wisconsin’s Center for Cooperatives (a university-based research center), Shared Capital Cooperative (a cooperative lender), and to include labor unions in planning and implementation processes. Like New York, it will also require reporting so that the city can help troubleshoot if necessary. Another element introduced in Madison is to make finance capacity an explicit focus for ecosystem building. Madison is devoting half of the funding allocated, or $300,000 per year for five years, for the development of a worker cooperative loan fund. The City of Madison expects whatever fund managers it contracts to be capable of growing the loan fund beyond the city’s contribution, mainly through fundraising plans, matching dollar requirements, or getting financial institutions to set aside percentages of loan capital. A third approach aimed at incentivizing worker cooperatives through preference bidding is taking shape in Oakland and Berkeley in consultation with the Sustainable Economies Law Center. Both cities passed resolutions to establish bidding preferences earlier in 2016 for implementation in the coming months or year. Oakland just sent a follow-up ordinance for City Council consideration in October 2016. While the details are still being worked out for eventual implementation, the resolutions or planned ordinances in Berkeley and Oakland involve worker co-op certification protocols intended to make sure preferences go to truly worker-owned and managed businesses; informational materials to be displayed by the city to incentivize worker co-op starts; and discounts or points for worker cooperatives competing for city bids. Additionally, Berkeley’s ordinance includes some tax and registration exemptions or reductions, as well as expedited land use review. As preference bidding proceeds, city governments are likely to adjust their approaches. Said Oakland Councilperson Annie Campbell Washington in an interview, “There will be a limited number of worker cooperatives right now who will be able to take advantage of (bidding preferences).” Getting worker co-ops to form in the areas of city purchasing and contracting may prove to be the main puzzle to be solved in growing the worker co-op sector through bid preferences and, ultimately, a focus for experimentation as the approach unfolds over time. Making Worker Cooperatives a Permanent Urban Economic Development Focus? In her book The Entrepreneurial State: Debunking Public Vs. Private Sector Myths, Mariana Mazzucato made the case that government spending is often implicated in cases of transformative innovation, such as that motivating the advocates of worker cooperatives as engines of market change. The spreading municipal commitment to worker cooperatives is notable, not only for the resources city governments bring but also for the connections they can make between worker cooperatives and business, financial, and nonprofit communities as well as other scales of government. Institutionalization or making the city commitment long term or permanent could help produce the sort of sustained attention, effort, and patience needed to scale-up worker co-op sectors. At this time, the ten city governments have not taken steps to make support of worker cooperatives routine. Rochester’s Fitts expressed in the report a sentiment common among the cities. In Rochester, ongoing municipal commitment will depend on showing, he said, “that this is a feasible and effective method of capturing some of the economic energy, that it can be replicated, and that it can continue to grow businesses of this kind.” New York City has decided to fund year by year, although it could decide to make multi-year commitments in the future. Worker cooperatives may have additional ideas for measuring and enhancing performance of these municipal cooperative development efforts, as well as deciding collaboratively how city governments can improve their support. But, assuming worker cooperatives perform as desired, city governments cited additional challenges to asses before deciding whether or how worker cooperatives will fit into their economic development plans. First is duplication or displacement of existing small businesses. Oakland’s Campbell Washington relayed a sense that city officials like herself are to “advocate for local independent businesses at the same time I am advocating for worker cooperatives.” Displacement of existing local businesses and the jobs they support are risks in all types of economic development, but innovative cities want to see net growth of opportunity, especially for people at the bottom of the wage hierarchy. Advocates of worker cooperatives can allay some of this challenge by focusing on growing or emerging market sectors when possible, or in areas of unmet demand. A second challenge to routinizing city commitments to worker development concerns resources. City governments cannot always count on slack budgets and reported needing to make hard choices at times between competing projects. Cities have been important allies to worker cooperatives, but the federal government role could be bolstered, helping cities access an adequate resource base from which to co-create innovations with community. Finally, some cities are curious to see how well worker cooperatives balance social and business purposes. There is possible tension between getting to social inclusion and remaining competitive in the market, noted Minneapolis’ Daniel Bonilla. Cities want to see outcomes in both areas and, if both can be accommodated, worker cooperatives may become more permanent features of city economic or small business development planning.